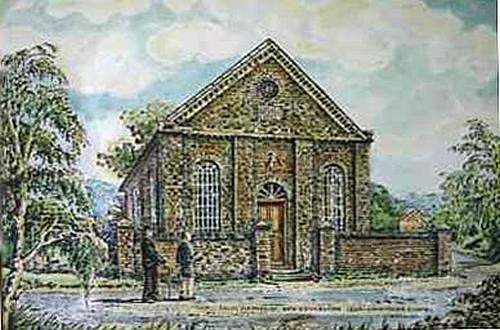 A Methodist New Connexion meeting had been held at Lightmoor since 1849 & in 1864-5 this long-awaited chapel was built. The foundation stone was laid on Monday 4th July 1864 and it opened on the 9th April 1865, and seated about 130 people. It was described at the time as "neat & commodious".The locals called the chapel "Fat Bacon" on account of members keeping pigs to raise money for the building of the chapel. The chapel was renovated in 1888 and again in 1896. The chapel closed c. 1938 but was still standing in 1967.